My Face Story Mask Subscription Service Review — The Monkey Is In. Yes, it's another subscription service. I've actually had this since July 2017 but I didn't want to review it until I'd used it at least 6 months. I love using sheet masks so I thought it would be a good service to try out. CAVEAT: Though I know Korea is working on becoming completely Cruelty Free in 2018, I can't guarantee any of the products I receive in this service are CF. I don't know if any of the brands sell in China or are part of the few companies that do still test on animals in Korea. I'm not necessarily reviewing the products in this post, just the service. Though I have to say I've absolutely LOVED at least one mask each month. At the very least, I've enjoyed them all except maybe one or two. Each month the masks arrive in this sealed envelope. It includes an information card about the benefits and usage of each mask (which I GREATLY appreciate - I keep those cards then mark the masks I like best for future purchasing). There's also some kind of happy or inspirational card. Since this month is for February, we all got Valentines. So friggin' cute. I personally hope the animal mask actually DOES look like a sheep! It seems most of the masks can be used on any skin type, though they usually have some targeted purpose (pore minimizing, anti-aging, moisturizing, soothing, brightening, etc.). But even if you're not looking to reduce pores, the mask will still have other skin care benefits. They have a rewards program where you can earn points a bunch of different ways (buying stuff on the site, referring a friend, reviewing products, following them on IG or FB, etc.). Even the monthly renewal earns you about 11 points each time. It's like you barely have to try! Then those points translate into dollar amounts (ie, 200 points = $2 off a purchase). As a subscriber, they sent me a referral link I can share where I earn 500 points if anyone uses it to join. You can get up to 4 free masks on your first subscription order and I get points (POINT WHORE!!). So if you'd be interested in checking them out, the link is below! Again, I don't plan to review this every month because I just don't get to the masks fast enough. 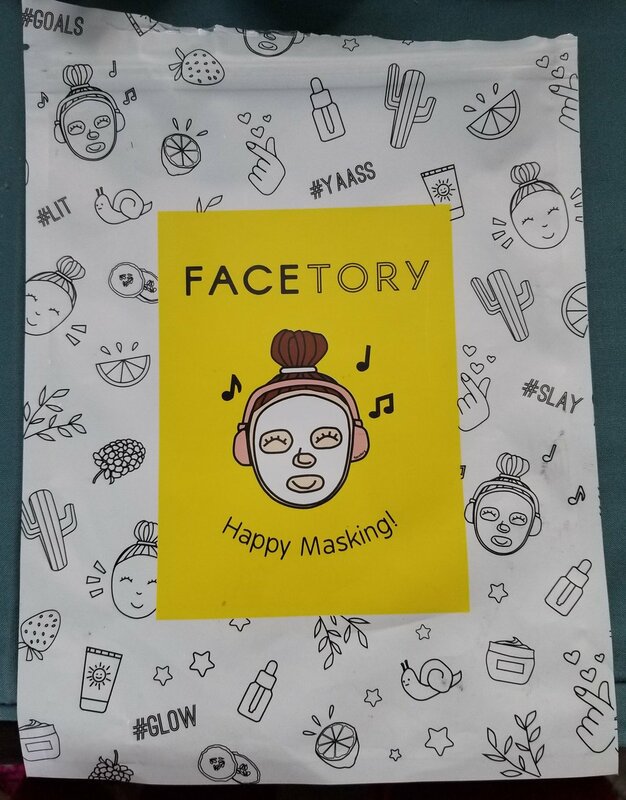 But if you like sheet masks or K-Beauty products, then check out Face Story for yourself. It's pretty fun!